I’ve never photographed a Kebab Van before, in fact I’ve never even eaten a kebab so this was going to be a new experience for me. Atalays Kebab Van is famous around these parts for not only producing awesome food but for also having a 5-star food hygiene rating, something I’ve never heard of before. The day of the shoot came and thankfully, it stopped raining which meant I could keep my equipment nicely dry when taking the portraits. First up was photographing the van. I knew that the first problem I would have would be lighting. Atlays do not set up until 6pm and at this time of year it is well and truly dark at that time. As photography is essentially painting with light I therefore knew that I would need to use a tripod for an all encompassing exterior image of the van. A long exposure of the van of around 4 seconds at ISO 100 and f22 was used to expose the van properly while ensuring that everything was in focus. However, this did result in the small amount of movement of the people that you see in the image. Next, I knew I wanted a close up image of Resul and his staff. 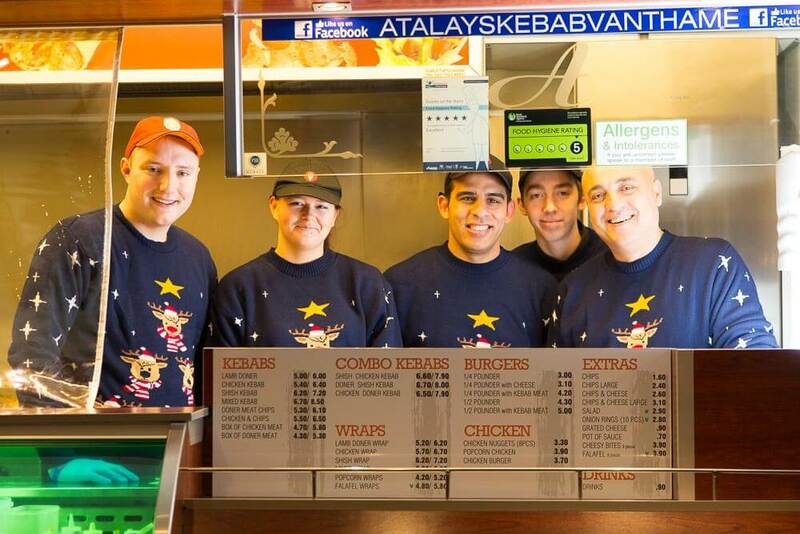 I set this image up quickly and then they broke their service for a couple of minutes so I could take the portrait of the staff of Thame’s famous kebab van. An off camera speedlight (Canon 600 EX-RT) hidden in the sink and bounced off an interior wall behind the boarding was key to adding a little light to the portrait. To help the portrait, I upped the ISO to 800 and stopped down to f4. Knowing that I didn’t want a large depth of field massively helped with the amount of light getting in and hitting the sensor. Chatting to Resul after the shoot, I revealed that I’ve never actually eaten a kebab. 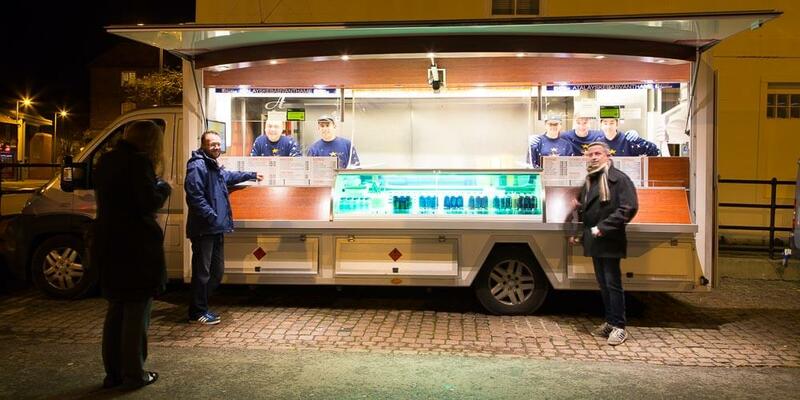 This the guys quickly rectified by treating me to a little kebab meat and some of their homemade chilli sauce. I’m glad that they did though, as I have to say I thoroughly enjoyed it. The meat was tasty and hot and not at all what I had previously imagined kebab meat would taste like. I can safely say that I’ll be back soon for dinner when I’m working late one evening.